International Geosynthetics Society – Indonesian local chapter (INA-igs) is a society dedicated to the scientific and engineering development of Geosynthetics and related products and associated technologies. 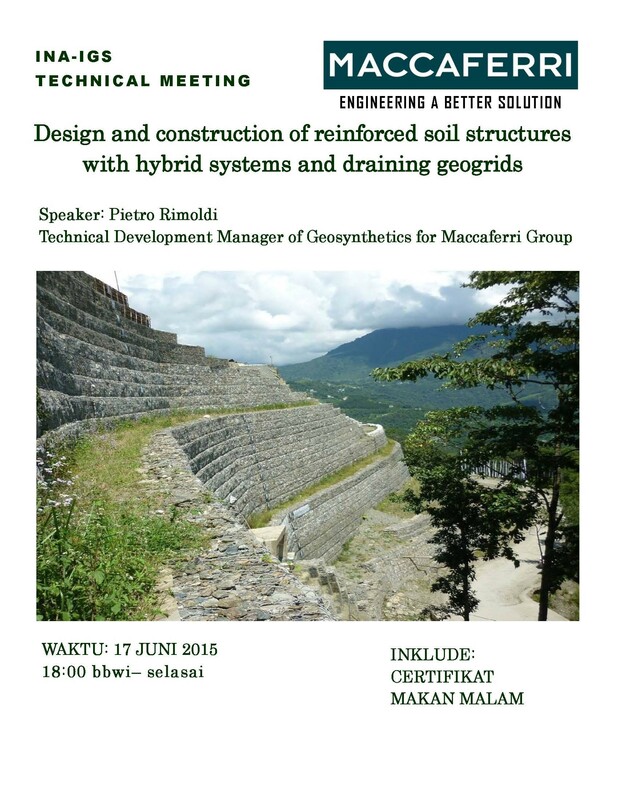 On the 17 of June 2015, PT Maccaferri Indonesia initiates a technical meeting with a keynote speaker of Mr. Pietro Rimoldi (Technical Development Manager of Geosynthetics for Maccaferri Group). The technical meeting shall be an event to bridge for the Maccaferri geosynthetic products and its applicator, e.g. between designers, manufacturers and users and especially between the textile and civil engineering communities.